The Marianne Mini Dress in Red by Misha Collection is a fun and flirty mini. 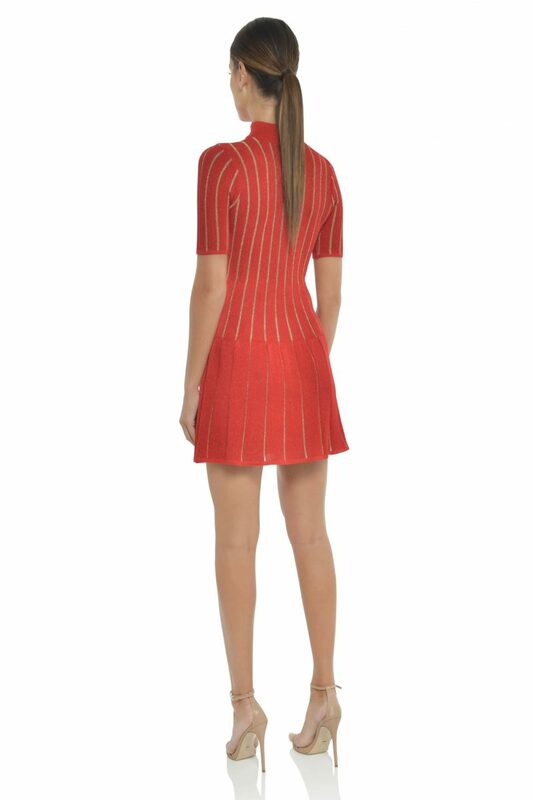 Crafted from a stretch lurex knit, with contrast metallic gold thread creating vertical stripes. The mini skater-style hemline is juxtaposed by a high neck, fitted bodice, and extended t-shirt sleeves.